At PaperCut, community is important. We created a little piece of software to help one school monitor their printing and reduce waste, this was just the start. We know what it's like to start small and dream big. We offer small business and start-ups the chance to experience enterprise level print management software for free. The same software is also available at discounted rates to educational institutions in developing nations. Or if you're already in business and just need to see the volume of print, try our free Print Logging application. Then there's our skilled developers, who just code on the weekends for fun, giving back to the global community with world-class Open Source code. 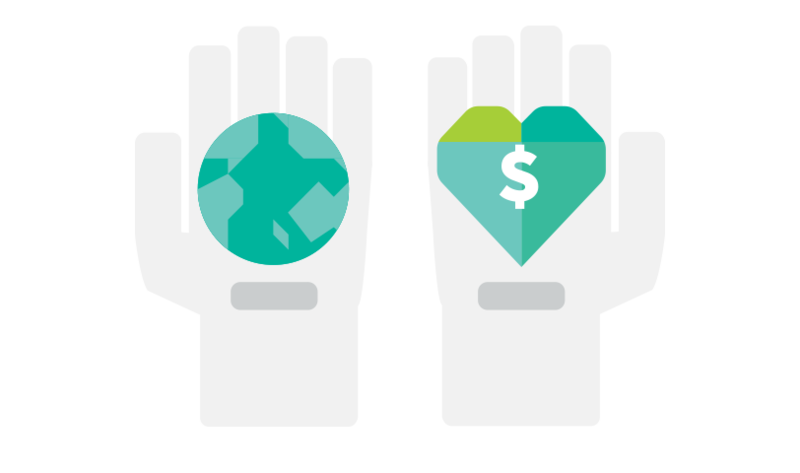 Supporting you whilst you build your business, PaperCut NG takes the burden and cost out of print management. This fully featured 5 user free license is included with the standard trial. If you have more than 5 users, you can purchase a license on-line when you need to. All learning institutions should benefit from the cost savings gained from implementing print management. Through PaperCut NG, academic organizations based in selected developing nations can apply for our special licensing. A 12-month self-funding free license or sponsorship program are available. 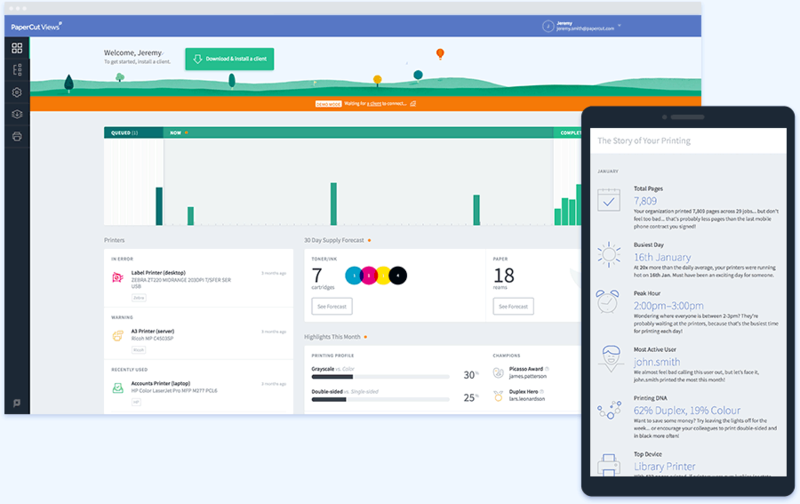 Real-time print analytics, insights and forecasts. With the power to forecast your toner and printing supplies, PaperCut Views gives you the insights you need to stay ahead of your business' printing needs. 100% free, quick and easy to install. Your printing headaches will be gone in no time. Just want to compile printing into a log? Don't need all the bells & whistles that come with PaperCut NG? Happy to pull raw data into excel or other reporting software? 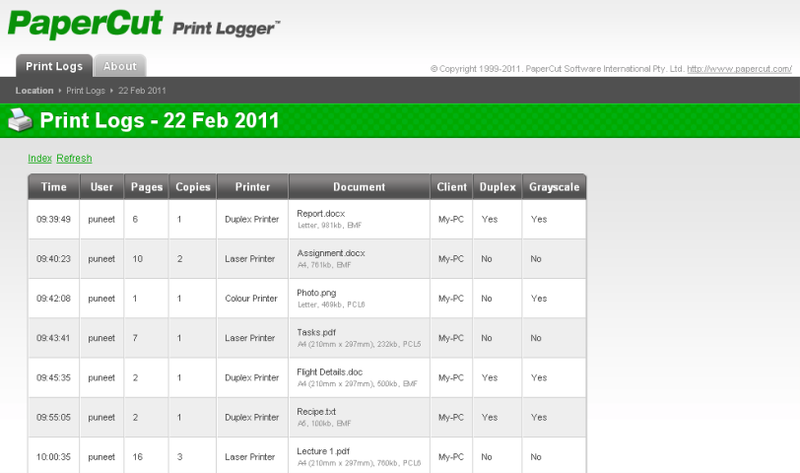 Then Print Logger may be all you need! 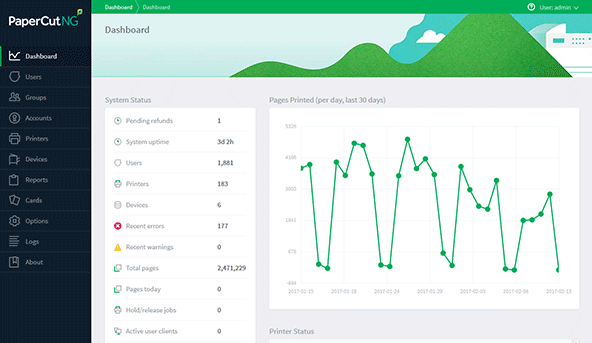 It's a free Windows print logging application detailing all printer use through activity logs. Provides data of who, when and how much is being printed. At the core of PaperCut are our devs - a talented team of uber-geeks with code in their DNA. We encourage thinking outside the square and play an active part in the Open Source community.